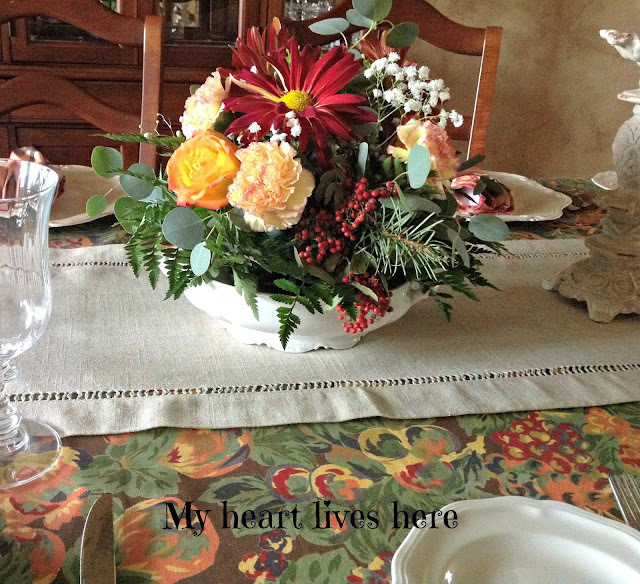 Just had to share our Thanksgiving centerpiece. The base is a Limoges serving dish that was a recent vintage find. Remember to enter the Giving Thanks Giveaway. This centerpiece is so gorgeous! Now I see why you liked my post. Same taste, clearly!! Glad you commented so I could find your lovely blog... :-) Have a great holiday! !